Did you know this Sunday is World Baking Day? from our sponsor Granite Mill Farms. easier on your digestive system. Granite Mill Farms is a family based business located in the Rocky Mountains of Montana. Their grains are 100% organic, whole grain with no additives. I love that! 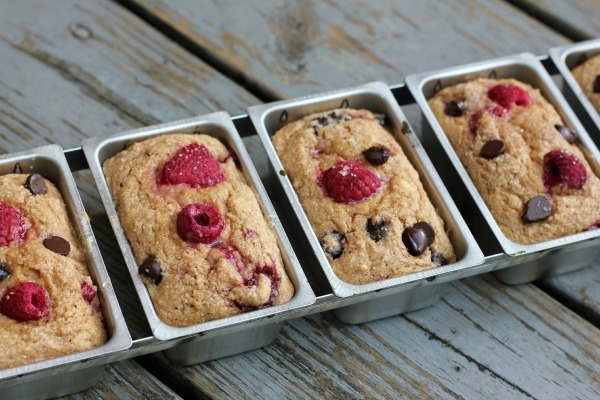 I decided to bake mini loaves of raspberry, dark chocolate spelt bread. Spelt is very similar to whole wheat in taste. I prefer making mini loaves of bread, making them easy to freeze or give away to friends. 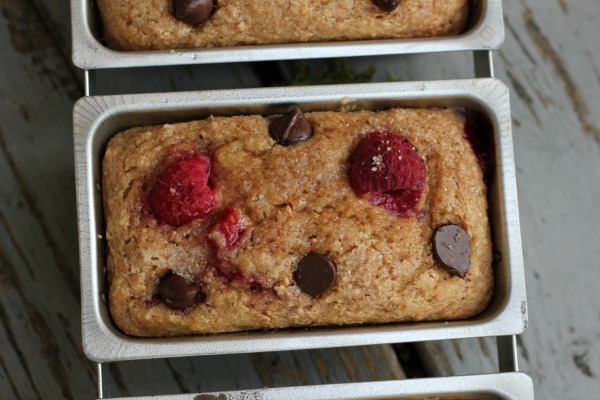 I love the pop of color the raspberries add to the bread! 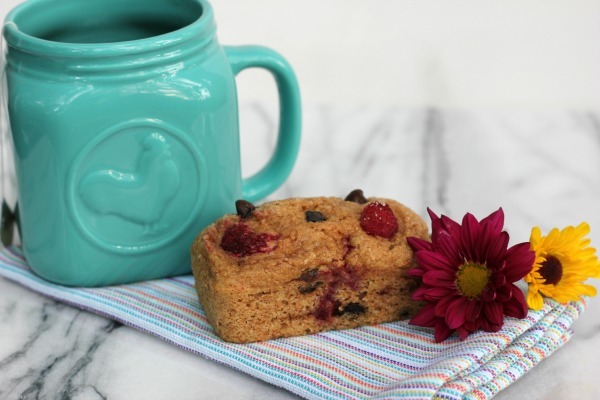 The sprouted flour in this recipe was graciously provided by our sponsor Granite Mill Farms. Happy World Baking Day my sweet friends!! spray. In a large mixing bowl whisk together spelt flour, baking powder and salt. milk, vanilla and egg. Add wet ingredients to the dry, stirring just until combined. 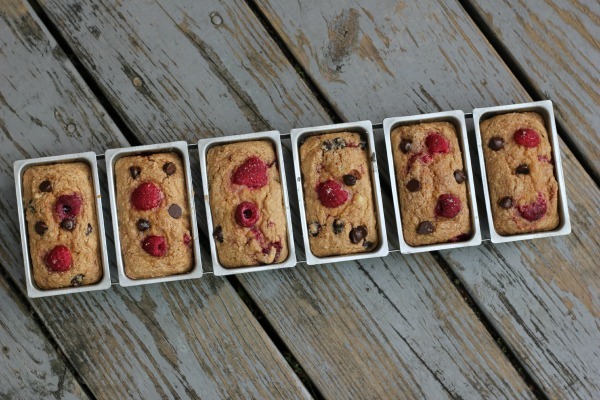 Fold in raspberries and chocolate chips. Dust with raw sugar if desired. 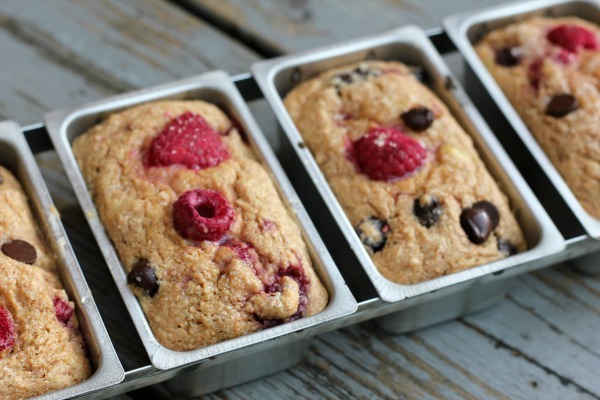 Bake 6 mini loaves for 20-25 minutes or a 9 inch loaf pan for 35-40 minutes. Cool on a wire rack for 15 minutes before removing from loaf pans. Disclosure - I was sent Granite Mill Flour to develop my recipe. I was not compensated for this review. As always, all opinions are my own. What pretty little loaves, Lynda! They would make wonderful gifts! They are also just right for when someone drops by unexpectedly and you want a little something to serve with coffee. :) The raspberry-chocolate combo is delicious! I like the "chunky" of the fruits and chocolate in this recipe. It seems versatile like I could substitute strawberries for raspberries, or maybe even cherries? Thanks for this recipe. These look so adorable and delicious! Also, your photography is great and your site is fabulous... I love the name!